When you are remodeling your kitchen, you already have so much to choose from. 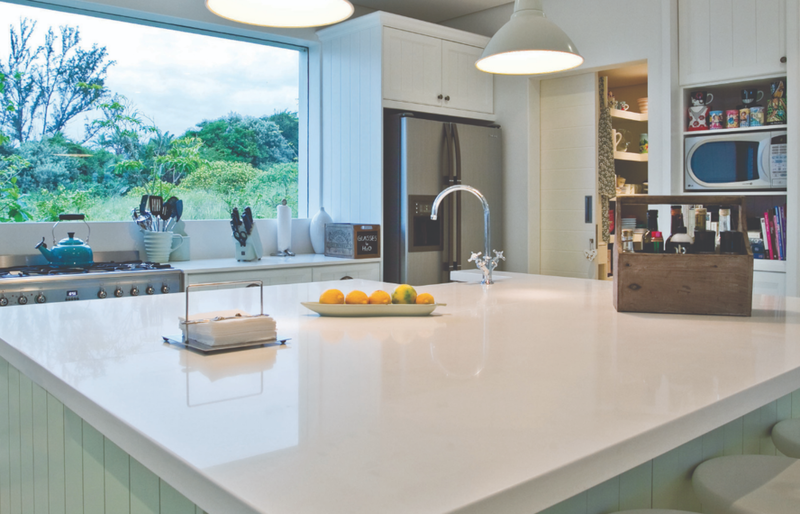 Do not let the overwhelming list of responsibilities make you neglect the kitchen countertops. There are numerous countertop types that can be made out of a variety of materials, so weigh all your options carefully. Stainless steel countertops are more typically seen in commercial kitchens. If you consider yourself a heavy-duty cook, then they are certain worth looking into. They are particularly desirable for their outstanding durability. Tiles are another common material. You can get your tiles to come in virtually any color or style you desire. However, you need to make sure you perform proper maintenance. With tiles, there are grout lines in between each individual one. You need to clean it regularly to prevent discoloration from occurring within the grout. Wood offers a more rustic aesthetic to a kitchen. As far as countertop types that offer a sense of warmth and community, wood is the way to go. This material is also heavily resistant against stains, scratches and burns. One of the more beautiful options is to get a kitchen countertop made out of natural stone. There are various types of stones available, including marble, quartz and granite. It is also very durable, and there is little maintenance involved. Lastly, you can look into solid surface materials. These are countertops where artificial materials are used to resemble the appearance of natural stone. The advantage here is that it is often much more affordable when compared to the real thing. You can get this to come in a variety of colors and patterns. Now that you have a greater knowledge concerning kitchen countertops, you can make a more informed decision. You want something you are going to enjoy for years, so browse through all the countertop types available to find something that strikes your fancy.